Jerusalem pride parade stabbing: Orthodox man who committed same crime in 2005 reportedly attacks celebrants. 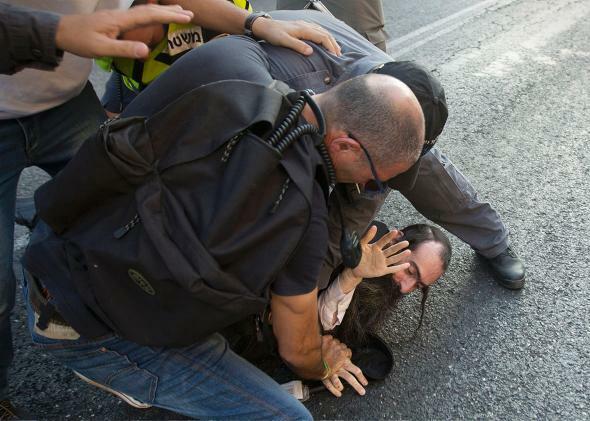 Police arrest an ultra-Orthodox man who reportedly attacked six people with a knife during Jerusalem’s gay pride parade on Thursday. An ultra-Orthodox extremist named Yishai Shlissel who was recently released from prison after stabbing three people at Jerusalem’s 2005 LGBT pride parade apparently stabbed six people at the same parade on Thursday, reports say. Paramedics were treating two people in serious condition, one in moderate condition and three people who were lightly injured. All of the victims were in their thirties. After Shlissel was subdued and emergency responders arrived to treat the victims, the march continued.